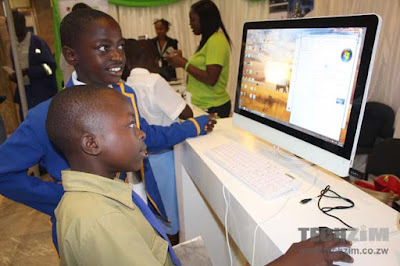 Mytutorzim is in its infancy and because teacher registration is still underway, this article is not an endorsement of the quality of tutoring you or your child will get on Mytutorzim as that is not yet clear at the time of writing. Many parents are constantly looking for a way to best empower their kids and at times this empowerment takes the form of one on one tutoring with a goal to optimize a child’s grades, continues Technology Zimbabwe. Would you be excited if I told you that soon it will be possible for your child to take their tutoring lessons online? If you’re still reading this article I’m assuming the answer for you was yes. An educational platform called Mytutorzim is looking to make online tutoring a thing in Zim and their story is quite interesting. Though pricing is not yet confirmed for students it will be in the range of $15-$35 per lesson. Why is there a range you may ask? This is determined by the tutor as some may charge different Rates depending on the knowledge and level they are at. For the student to search is completely free. It is then between them and the tutor to discuss a pricing. …once the platform has reached its capacity it will then charge a very minimal monthly rental to the tutors to have their profile displayed. The monthly rental will be no more than the cost of one online lesson. The goal is to create employment for those teachers currently unemployed or retired and so there will be no need to charge a large fee for such a simple service for the children.